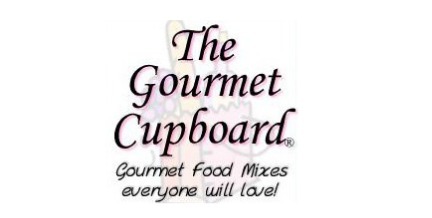 The Gourmet Cupboard is a direct sales company selling gourmet mixes through their distributors in the US and Canada. The Christian-based company was founded by two moms: Melissa Holmes and her mom Judy Baker. Each gourmet mix is handmade using only the finest gourmet ingredients at just the right proportion to create the one of a kind mix that people love. Each mix includes all the dry ingredients, and you simply add one or two other ingredients such as sour cream, water, cream cheese, ground meat, etc. 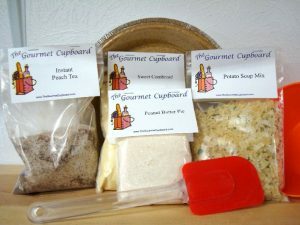 The Gourmet Cupboard products are individually handmade in Southeast Texas and most contain no MSG. or preservatives. The line includes soups and meals, side dishes, sweet and savory dips, coffees, teas, muffins & breads, desserts, sugar free selections, and seasonings & spices, gift boxes. 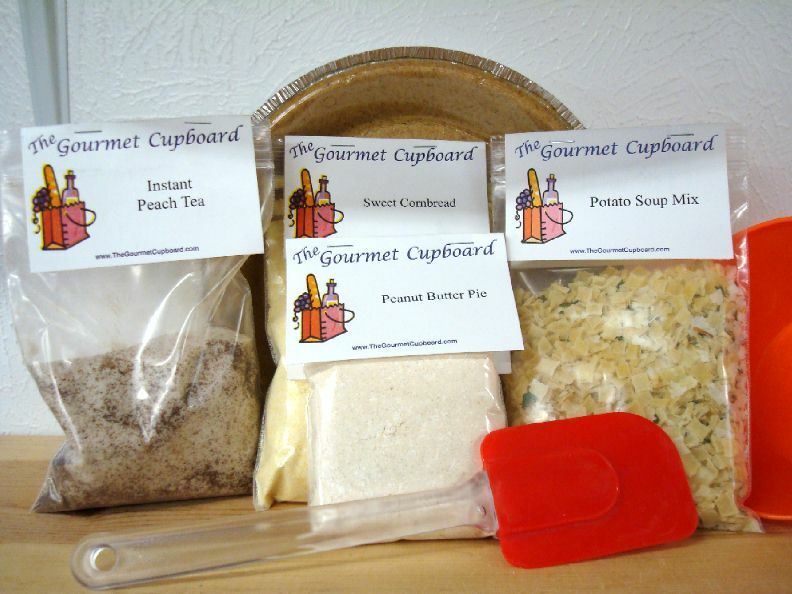 The Gourmet Cupboard offers excellent business opportunity with FREE signup, no start up costs, low product purchase requirements, and great training. It is a wonderful opportunity for a work at home business for mothers, retirees, or anyone wanting to make some extra money and enjoy our tasty products! Purchase groceries at wholesale prices by joining our Wholesale Club. Sign up to be a Gourmet cupboard Basic, Advanced or Retailer/Shop Distributor now!